This finial decorative end is designed to fit onto the Extendable Curtain Rods only. 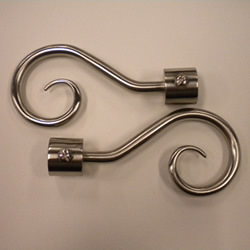 This popular Swirl design can add a bit of decoratiion to the end of the standard Extendable Curtain Rods! 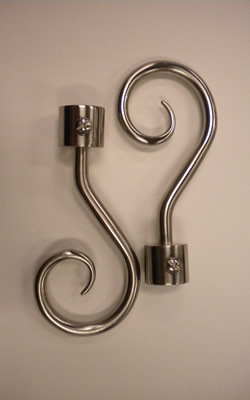 Why not add this great designer swirl to your Rods today!